Here the Topanga Life is lived with a view surrounded by acres of privacy up a long private road that borders Parkland trails and soaks up brilliant sunsets over distant canyon ridges. Veggies come from colorful gardens just outside and dinners are enjoyed on the covered patio outside the massive light-filled great room which opens to a spacious gourmet kitchen. The home is a beautiful open and simple sanctuary with an amazing master suite with walk in closet, soaking tub with views, and a separate private sitting room perfect for your daily massage, a yoga room, or your own peaceful getaway. 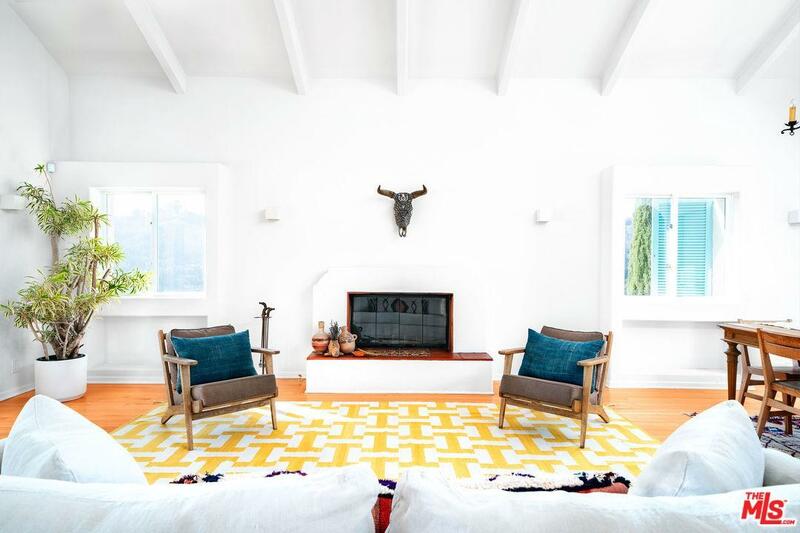 The 270 degree views span to Saddle Peak to the far north end of the canyon and over 2.57 acre property spreads out over a flat grassy lawn and a huge private knoll with room for pool and horses. The mid Canyon location is ideal as it is accessed directly off Topanga Canyon on a quiet private road while being just 10 minutes to PCH or to Hwy 101 and just a minute to the Community House playground! Sold by Paul Ferra BRE#01227825 of Coldwell Banker Residential Brokerage. Listing provided courtesy of Paul Ferra DRE#01227825 of Coldwell Banker Residential Brokerage and Melissa Oliver CA DRE# 00894644 of Coldwell Banker Residential Brokerage.